There was great excitement at the Tipperary Excel, Tipperary town when the lotto jackpot of €16,000 was won. 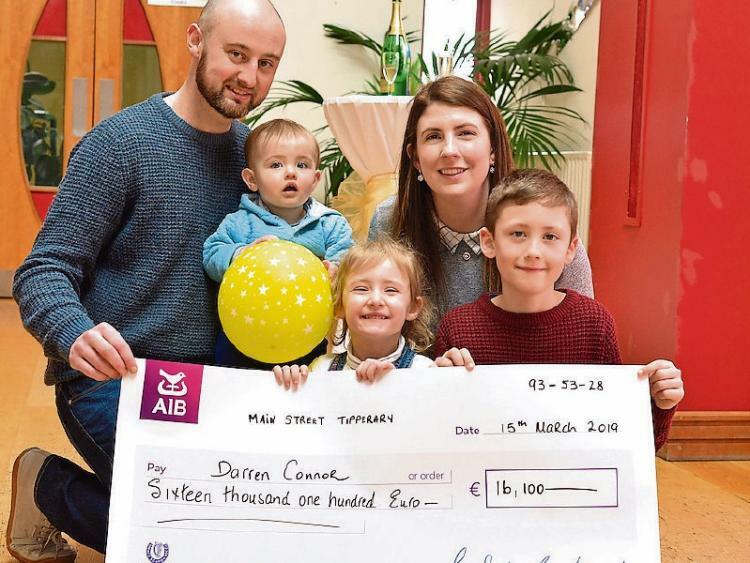 Excel staff members Stephanie Clarke and Josephine Collins facilitated the draw that day and were thrilled to ring the winner Darren Connor who manages The Carvery Restaurant in the Dunnes Stores shopping centre. Darren is from Thurles and manages The Carvery Restaurant for his parents in the Dunnes Stores Shopping Centre. He has three children with Lorraine; 9-year old Jamie, 4-year old Hayley and 1-year old Cillian. “This is amazing and we are delighted with Darren’s win,” said Tipperary Excel Venue Director Carissa Farrell.